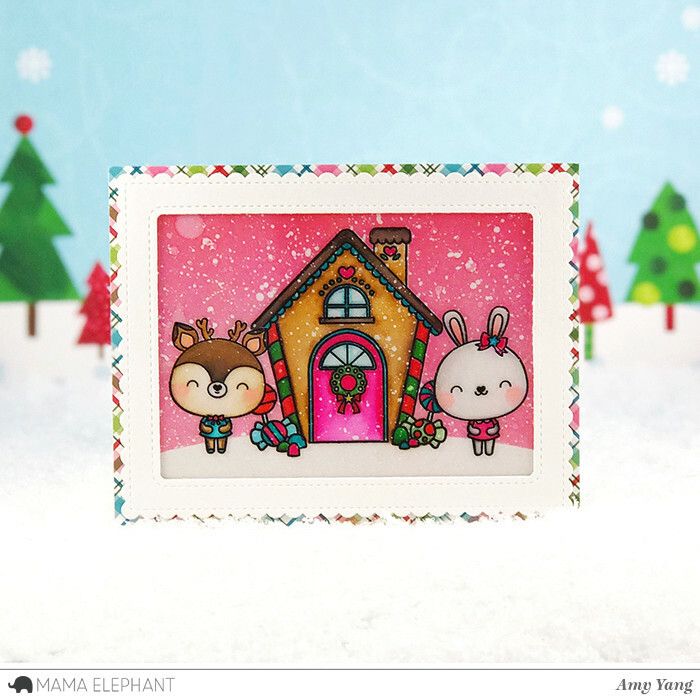 Today's Stamp Highlight is with Luli Bunny's A Cookie Christmas stamp set! Who can resist these adorable characters with a cute Gingerbread house? 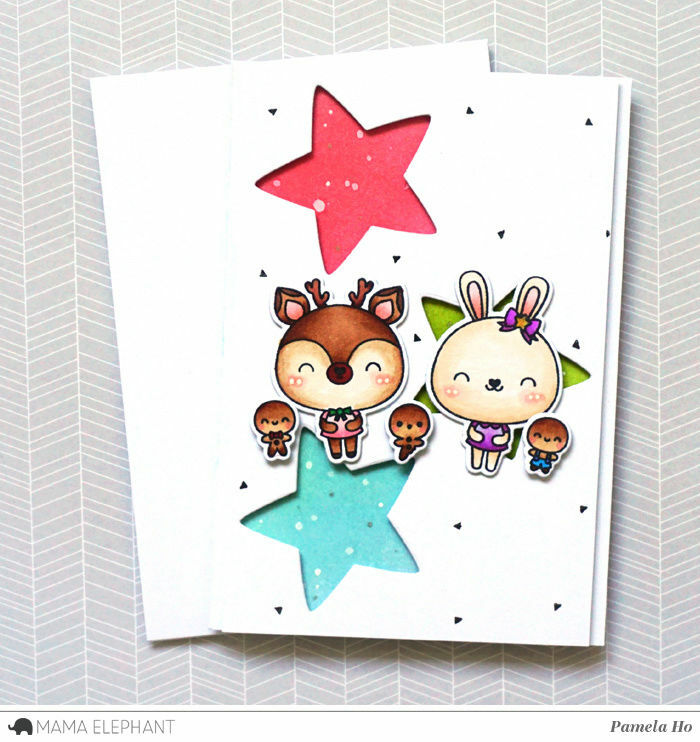 We love the starry background that Pamela created for Miss Reindeer, Miss Bunny and their ginger friends! Amy sure put the magic in the holidays with this Magic Slider card! 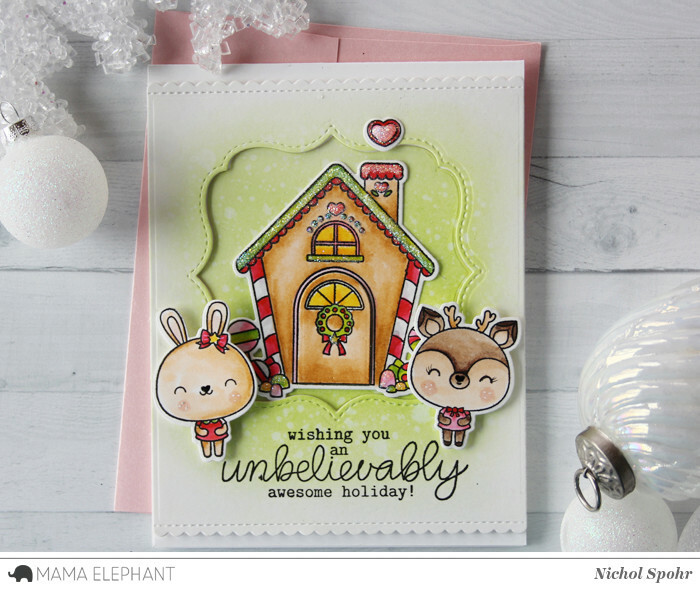 Deasy created a cute and happy scene for Christmas! They look so adorable! We love this sweet scene in pastel colors by Vera! We love Laura's sweet Gable Box. Nichol added prisma glitter to elements on the gingerbread house to mimic sugared icing for the sweet scene card! Casinos have a better taste. the little gingerbread house is darling. Thanks for sharing some cute cards. Service leaders play a lot of online games. To help make every gamble online. They may choose to use the online game service at any time. Each user of the game has been selected to play the most numerous and all the most passionate, we also have fun to play online games too Golden slot to the overwhelming number of online gambling players have come. Choose the most fun to play online games. In addition, we also have the stereotype of playing online games extremely. สล็อตออนไลน์ Every gamer has come to share his passion for online gaming with all kinds of online gaming and online gaming needs. Every gamer can join in making a craving for online gaming fun with a lot of online games. Online gambling is open 24 hours a day. Everything on this page is soooo adorable and Christmassy/winter looking, absolutely gorgeous !! Fix all the complaints of online casinos. Online casino games in HD today are widely popular. Accessible in all ages and the way the gameplay is very similar in many ways. Online casino game sites are open. In order to accommodate the increasing number of players every day, there are countless hours of fun and entertainment. Golden slot Meet the game of online game measurement is very much to help each player has come to experience a lot of online games and all the more lucrative. The gamblers who wish to gamble together to make a wish about our online gambling games, สล็อต can also tap into the desire to play online games meteorically. Along the way, we also have the convention of playing a lot of online gambling. Every gamer has come to the fun of playing multiplayer online multiplayer games and all the online multiplayer games. Let everyone enjoy the game has come into contact with each other on a regular basis. those cards are super cute! Holiday Palace offers the best online casino services from Holiday Palace Casino, delivered directly to your mobile phone and your PC screen. The more you play the worse, the more benefits and more. Our Palace is right. Created to create a gaming experience for our players before opening a new user registration at https://www.holidaystake.com And transfer money first, you will become a member of Hol iday Palace Casino.